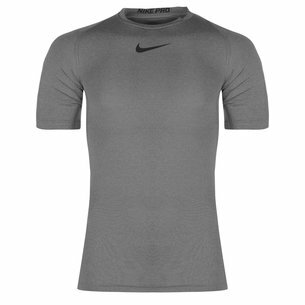 Nike Pro Combat includes the famous Dri-FIT fabric that keeps athletes dry and comfortable during their workout. The sleeveless t-shirts, compression shorts and core t-shirts are all designed to enhance your circulation and help you to play your best while the specially selected fabric wicks away moisture while creating a locked-in feel. Shop the Nike base layer range today.